Ron & his team just completed a major Kitchen remodel for us which included opening up walls on our first floor. The project was completed on time and within the expected budget. We could not be happier with the end result. Ron has a great eye for detail and treats the job as if it was his own home. This is the second job that we have used Parko Home Renovation for and I would not hesitate to call them again. There are too many good things to say about Ron and his crew. Honest, hardworking, accurate estimates, great ideas, on-time completion... and great work! We have had them complete several projects from small to large (nearly the entire living area renovation!) and was always impressed. In the Canton area, there is no one else I would call. pass along your name and company to them. an estimate to install it. on the door wall and other projects we have in mind. Ron Parko is amazing, we hired him as our general contractor for a remodel of our newly purchased foreclosed home, the house was empty for approximately 2 years and it needed a lot of miscellaneous work including wood floor repair, painting, carpet, plumbing, kitchen counter tops, etc. Ron committed to having the repairs done with in a week and much to our amazement came in on time and on budget. Ron is not only a master at his craft but is a genuinely nice guy. He even helped out with our pool a couple of times when couldn't be onsite. He definitely exceeded our expectations. With out a doubt we will be hiring Ron to remodel our master bathroom and fireplace. I will be recommending Parko Home Renovations to all of my family and friends. Parko Home Renovations was referred to us by a couple friends, so we already knew they did nice work..... and we are so glad we decided to choose them for our fireplace remodel! Ron was able to give us a very reasonable quote for the job. We had him completely tear down our brick fireplace and replace it with a brand new wood and stone surround. We LOVE how it turned out. I would definitely recommended him to anyone looking for any kind of carpentry work, he is so talented! On top of the fantastic work he does, he was also very careful to keep the construction area clean throughout the project. And he was always courteous and always on time. We could not be happier with the work that Ron Parko has done in our home! I am an architect who has worked with Ron in the past. He has the ability to take my designs and execute them with quality materials and craftsmanship. I'm always happy to work on projects with him. We hired Ron and his team to work on 6 of our investment properties that were in need of serious work before we could rent them out. Ron is probably the best GC I have ever worked with! He takes pride in his work, always delivers in the predicted time frame, will come out on The weekend at any time if there are some maintenance issues with rentals, and is always fair with prices. I trust him and his team, which is a huge deal for me since I live out of state. I will continue to work with him in future and highly recommend him to anyone who doesn't want to waste time on contractors that need to be supervised and don't care about you our your hard earned $. Polite and professional contractor with great work ethics. Have worked with Ron for several years and never heard a client complain. We have had numerous jobs done by Ron and his team, starting with a world class kitchen renovation. We were featured in the Free Press Home Envy feature and everyone wanted to know who did our kitchen. Apart from that we have had, a fireplace surround enclosure done, new floors, fix up from a water breakage and storm damage. One other interesting job was done on our 1842 house (1842 is not a typo). Ron and his crew were given the responsibility to find anything and everything that could possibly be wrong with the house and to fix it. Having moved to a condo, we are having another kitchen renovation done and a new fireplace remodel has been finished. Some of the subsequent questions are misleading in that all of this has taken place over a span of 6 years. I am only showing the cost and dates for the kitchen renovation. Ron Parko & Co, redid our master bathroom and dining room after it had been ruined in a leak. 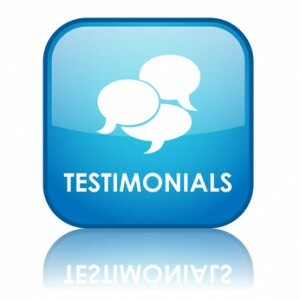 Their quote was very competitive and he was very knowledgeable about what needed to be done and costs. Cost was an issue for us, and he was very respectful of this and went out of his way to advise us of the least expensive, yet proper way to get things done. We would hire him again in a minute! We are very pleased with his work! Parko home renovations designed and built our fireplace hearth and mantle. They took our input, designed it on paper, and delivered on the construction of both items. They worked fast and cleaned up promptly each day. I wouldn't hesistate to recommend Parko Home Reno. I am a single woman. I often feel taken advantage of by contractors and mechanics. Parko Home is amazing. They are respectful, thorough, on time, on budget, unobtrusive, positive, friendly...everything you would want them to be. On top of that, when I made an emergency call, I got a quick response from the owner who continued to follow up to make sure my needs were met. I have hired them for 4 jobs over 5-6 years and will go with no one else. This company has done several remodeling projects in our home, all of which have been performed superbly well and always within the estimates given. I would recommend them to anyone. I called Ron Parko because of a referral from a friend. Ron and his team did an absolute excellent job and have called him back since to do other work around my house. I had my whole house flooring stripped and Ron installed new wood flooring throughout. Ron did all the demo, cleanup, prep and new install. I called him and his team back to remodel my bathroom. I recommend Ron Parko and his crew. He is very trustworthy, on time, not the cheapest but his work speaks for itself. As a kitchen and bath designer, I have had ample opportunities to work with Parko Home over the course the past 6 years. They are courteous, hard working, talented, and trustworthy. I have worked with many of their clients, and every homeowner that has hired this group of skilled tradesmen has been very happy with the experience and their completed remodeling project. I have also recommended them to family members, and ultimately has hired them to complete projects at my personal home. I know, without a doubt that I can expect my project to be done on time, done right, and for a fair price. Ron and his crew will be working with me for a long time.